Vivo is set to unveil a new camera-centric smartphone in its budget V series, dubbed the V15 Pro, which has a heap of rumors around it. Fueling further anticipation, we have a new official video which reveals more about the upcoming device. According to a video by Vivo (featuring Vivo brand ambassador and Bollywood actor Amir Khan), the Vivo V15 Pro will feature a pop-up selfie camera, much like the Vivo Nex, however, with an increased configuration rated at 32MP. The smartphone is touted to come with the world’s first 32MP front pop-up camera. The device with the pop-up camera will lead to a complete edge-to-edge display for a better viewing experience. The video further suggests that we will also get an in-display fingerprint scanner with the new smartphone. 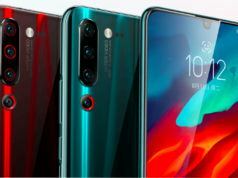 Additionally, the V15 Pro is expected to feature a triple-camera module at the back, with one of the camera sensors rated at 48MP for brighter images and support for AI-based camera features. Furthermore, the smartphone is expected to come in a gradient color option, among other color variants. However, we lack other details about the smartphone at the time of writing. The Vivo V15 Pro is geared up to launch on February 20 at an event in India. Therefore, stay tuned with us for more information.